1.The power supply should have leakage protection, and the grounding in the power supply socket must be connected with the protect ground wire. Each group of electrical wire connection must be operated by professional electrical installation personnel. The connecting of electrical conductor should be operated by professional electrical engineer. 2. The amusement equipment is not allowed to startbefore all the passengers sit down. 3.When equipment is running, anyone is forbidden to enter the fence, and thepassengers are not allowed to leave cabin. 4.The equipment cannot run or stop normally, you should turn off the power switch, or pull out the power plugs. 5.The amusement equipment can not use in rainy, windyand thunderstorm weather. 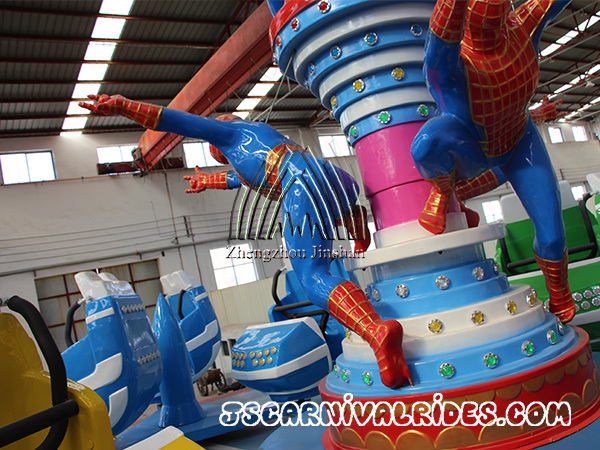 Prev： What Are The Characteristics of Good Amusement Equipments?